1109 - IR Injector - for use with AVAtrix and SixDrive Systems. 1109 – IR Injector - for use with AVAtrix and SixDrive Systems. IR Injector - for use with AVAtrix and SixDrive Systems. Allows IR control signals to be sent from an IR device near the AVAtrix out to IR emitters connected to Wallplate IR jacks. 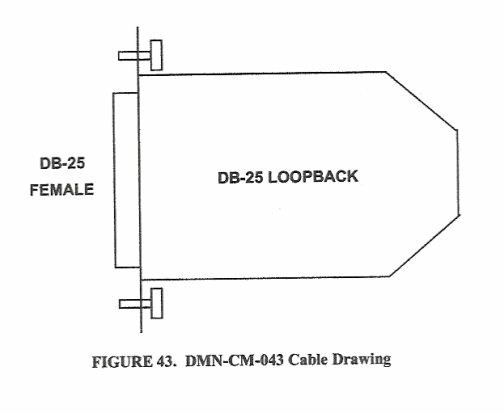 Connections for up to six Wallplates and Receivers. 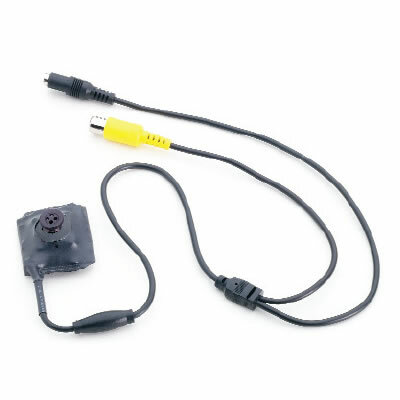 This product is designed to allow any wired IR device to send signals to or receive signals from IR devices plugged into the Wallplate/receivers used with an AVAtrix. Typically, the 1109 would be used to send IR from a control device near the AVAtrix out to multiple TVs. 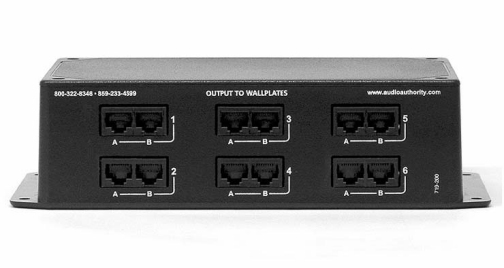 When installed in-line between the AVAtrix and its six Wallplates, the IR jack on each Wallplate is hard-wired to a corresponding jack on the Model 1109. 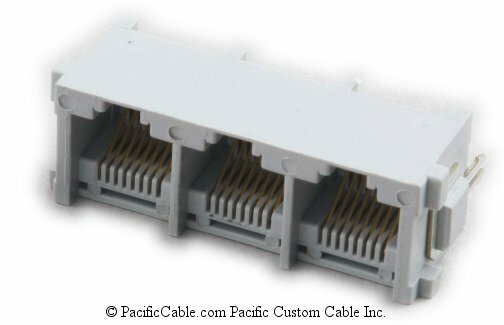 These jacks are isolated from all other system wiring and can therefore be used for any kind of low speed signal suited for Category 5 cable conductors. 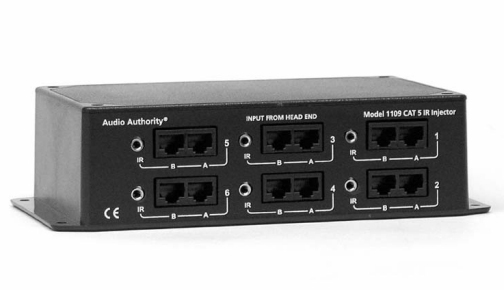 The Model 1109 is compatible with any Audio Authority AV Cat 5 Wallplate, including Models 9878, 9879 and 9880. 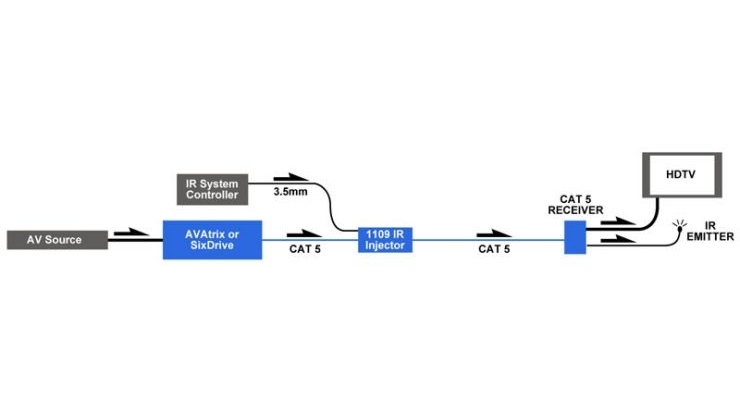 Each Wallplate IR pathway operates independently, so one pathway could be set up for in-coming IR signals and another pathway in the same system could be set up for out-going IR signals.